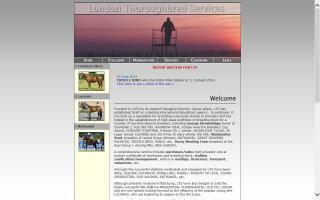 Europe Thoroughbred Horse Farms and Stallions Directory - O Horse! 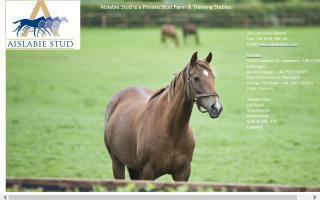 Aislabie Stud is a Thoroughbred stud farm welcoming boarding mares, foals, and yearlings for sales preparation as well as resting racehorses. We are delighted to offer you a large tried & tested selection of Lusitano horses from Portugal through four family generations of experience. Breeds: Thoroughbreds / Lusitanos with and without documents. Colours: cremello, black, isabel, palomino, brown, buckskin & baio. Horses: stallion & gelding, mares & spayed mares. Foals: 1 year to 3 years. Disciplines: bull fighting, traditional Portuguese equestrian, dressage, jumping, leisure, and starting riders. Prices: From 2500 up to 50.000 euros. Presentation of thoroughbred stud farm. Services including coverings by Great Exhibition (brother to Elusive Quality) and King Cheetah, boarding for mares and foals, foaling, and sales preparation.